Can you put a price on a smile? Like it or not, one of the first things we notice about another is their face, smile, and teeth. It’s your first impression whether you like it or not, and it can make a lasting impact on those you interact with. Dental insurance is one important part of creating and keeping beautiful smiles for you and your family. Dental coverage is similar to regular medical insurance. Your dental plan pays a portion of costs associated with preventive, minor, and some dental care. This reduces the financial responsibility you have when you receive quality dental care. Sure, brushing and flossing keep your teeth healthy and avoid many dental problems, but sometimes it’s not enough. Even if you’re a faithful flosser, a dental plan still saves you money. Some people are simply more prone to problems, and even common dental problems can be costly without an adequate dental policy. Many people without dental coverage may put off or simply forget about going to the dentist on a regular basis. Over time, common problems like sensitive teeth, inflamed gums, tooth decay, bad breath and dry mouth can worsen into painful and expensive problems. Oral health services are number seven on the list of Top 10 Most Costly Health Conditions in America. Even common problems like cavities and toothaches can become very expensive very quickly. By protecting you from the high costs of dental care, an adequate dental policy makes both routine and specialized dental care available without worrying about how to pay for it. Of course, all dental plans are different, but many policies will pay for themselves after just one visit. An annual visit to the dentist with cleaning and x-rays can cost usually at least $200, some dental plans can cost less than this for an entire year of coverage. 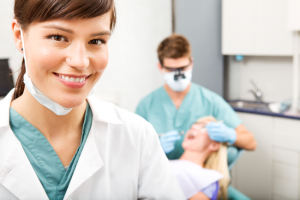 How will Dental Insurance benefit you? A healthy smile is just one small part of a healthy lifestyle. The two most important aspects of professional dental care are preventing common dental problems and diagnosing bigger health problems before they get worse. Preventative Care: The goal of any dental policy is to provide both prevention and diagnostics. By providing preventative care, you can avoid more expensive dental problems later on. Typical preventative care on most dental policies include two annual exams and cleanings each year for each covered member. Most plans also include one set of X-rays per year as well as one fluoride treatment, depending on age. Preventative care is generally covered at 100 percent, which means the patient is not required to pay any out of pocket costs for their annual trip the dentist. Basic Procedures: There are some dental procedures that even meticulous oral care sometimes just can’t prevent. These include things like fillings, extractions, root canals and periodontal treatment. These procedures are common, but do not fall under the category of preventative maintenance. Most insurance plans will cover these procedures at between 60-80 percent, leaving the patient with only 20-30 percent of the cost to cover out of pocket. Major procedures: Occasionally, a trip to the dentist turns from a routine cleaning into something much bigger. No one wants these types of procedures, but they are still fairly common. Major dental work includes things like crowns, bridges, inlays, dentures and sometimes implants. Coverage for major procedures varies based on the plan, but most are covered at 50 percent, leaving the other 50 percent to be covered by the patient. Although major procedures aren’t covered at the same rate, this still can save you thousands of dollars. Overall Healthcare: While dental care starts with good oral health, it can also identify other serious health concerns. A dental exam does much more than look for cavities and scrape off plaque. Many health issues express themselves in the mouth. For example, early warning signs of diabetes can sometimes be detected in your teeth. According to the 2016 NADP Consumer study, the main reason people are not visiting a dentist regularly is lack of insurance. A dental insurance plan will help to ensure that your oral health is taken care of, and in turn, keep you and your family in better health overall. Oral disease can affect other areas of your body, including your heart and brain. Getting your teeth cleaned on a regular basis can also provide insight into other health conditions you may not even be aware of and provide screenings for some types of cancer. How does it work? How do you get dental insurance? PPO: This is the most common type of insurance. PPO stands for Preferred Provider Organization. With a PPO plan, you have access to a network of dentists that you can choose from. Although this sometimes sounds restrictive, the networks are usually fairly broad, depending on the insurance company in your area. If you choose a doctor outside your network, you may receive some type of discount, but it won’t be as cost effective. DHMO: The DHMO insurance plan is the Dental Health Maintenance Organization. It also works with a particular network of dentists, but it’s a little bit different. Dentists who work under a DHMO receive a set monthly payment from the insurance company. In return, they are required to provide service to anyone in the organization. Sometimes the benefits in a DHMO are better than a PPO, but the list of available doctors may be smaller. Discount Plan: A discount plan isn’t exactly full dental insurance, but it still provides significant benefits. With a dental discount plan, you are given a network of dentists who have agreed to provide services at a discount to individuals as long as you pay cash at the time of services. This works well for dental offices who need help with cash flow, and provides patients a way to save some money without paying an insurance premium. Most dental insurance plans, with the exception of the discount plan, include premiums, deductibles, and copays. Premiums: This is the cost of participating in your dental policy. If you’re on an employer’s program, this cost is divided up and taken out of your paycheck. If you have private insurance, this is your monthly, annual, or semi-annual payment amount. Deductible: While preventative exams and cleanings are usually covered at 100 percent, other services are often subject to a deductible and copay. The deductible is the amount you must pay before your insurance will kick in. The deductible can vary from $100 to $1000 per person. Copay: After you meet your deductible, you are only responsible for your copayment or coinsurance, which is a percentage of the treatment. Every dental plan is different, and you will need to read your benefit information carefully to completely understand your dental coverage. Most individuals wouldn’t dream of going without health insurance, even for a month or two. But dental insurance for a full year often costs less than just one month of full health insurance. According to the American Dental Association, the most common chronic childhood disease is tooth decay. It affects more than 16 million children in the United States. Under the Affordable Care Act (ACA), dental services are declared an essential health benefit and is now required for children under the age of 19. Although this new guideline doesn’t apply to adults, regular dental exams cannot only treat oral health problems but can also identify other serious health concerns for you and your family. Regardless of whether you have an employer group plan, or a private insurance plan, dental insurance costs less than one latte a week to protect you and your family from the inside-out.